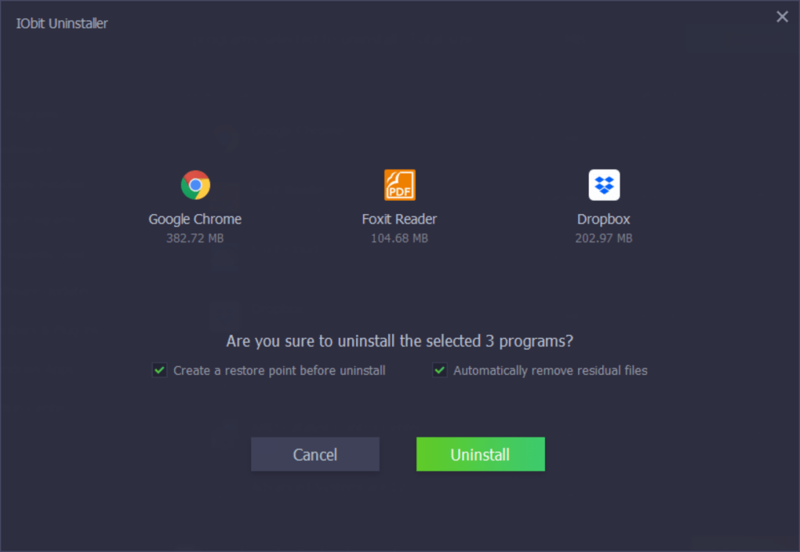 IObit Uninstaller, as the name indicates, is a software tool that helps remove installed software from your computer. 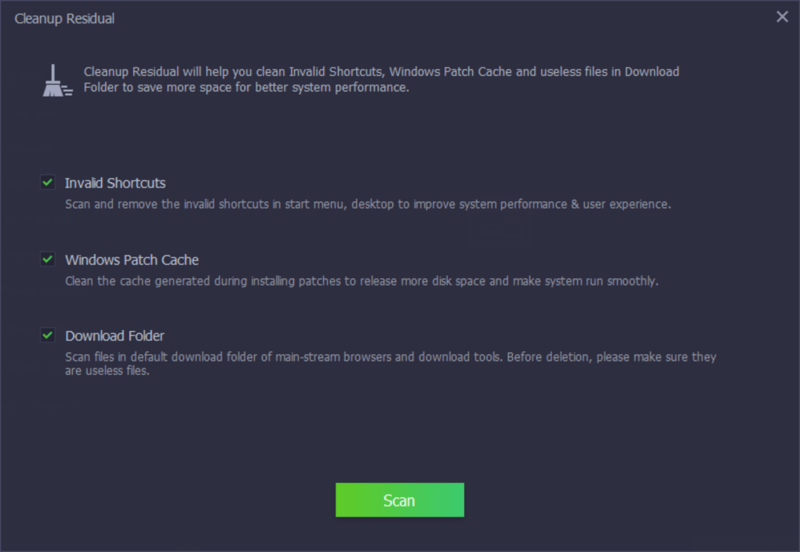 The tool makes sure your computer is devoid of unwanted programs and plugins, helping make your PC cleaner and faster. Most computers have multiple software programs installed, with only a few being in active use. These programs aren’t just occupying storage space but they also affect your system's performance. Malicious toolbars and plug-ins added to your browser could amass your personal data for illegal use. 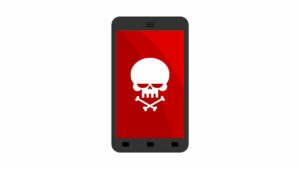 Some of these tools could even redirect you to phishing websites. A typical uninstall would not delete a program in its entirety. There certainly would be some leftovers, which IObit Uninstaller would take care of. 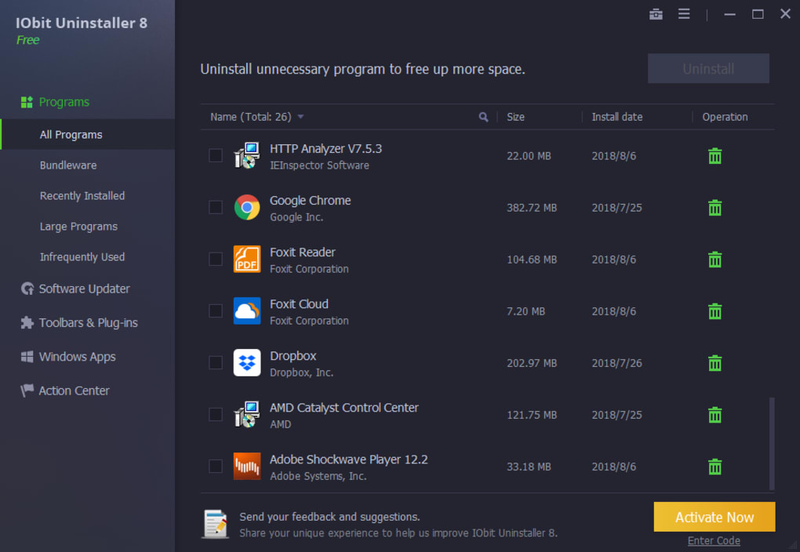 IObit Uninstaller not just cleans the slate completely but also does that at a fairly good speed. The tool works by creating a point of system restore as a backup. It then runs a program’s default installer. The computer is then scanned for leftover entries and files, which are subsequently deleted. Please note, there's no need to go through the process. If uninstalling specific programs is all you need, you can choose this option. File shredding and a few other functionalities are optional. The app shows a list of installed apps with checkboxes. By just checking the apps you don’t want and hitting the “uninstall” button, the app automatically removes all your unwanted applications. 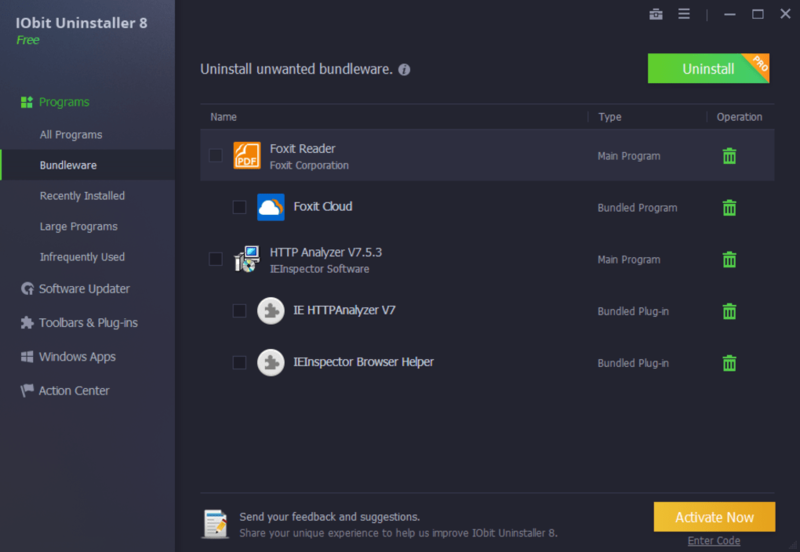 IObit Uninstaller pays high attention to bundleware and bundled plug-ins removal to give you a secure and smooth online surfing experience. 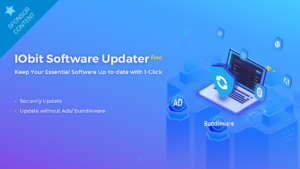 All the bundled products will be listed when you uninstall any one of them, which enables you to remove the other installed bundleware and bundled plugins easily and completely. With newly added Software Updater, it is also simple and easy to keep your important programs always up to date. 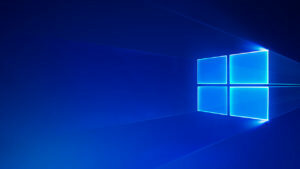 What's more, thanks to the enhanced scan engine and Force Uninstall feature, all leftovers can be removed thoroughly from your computer just like they were never installed in your PC. 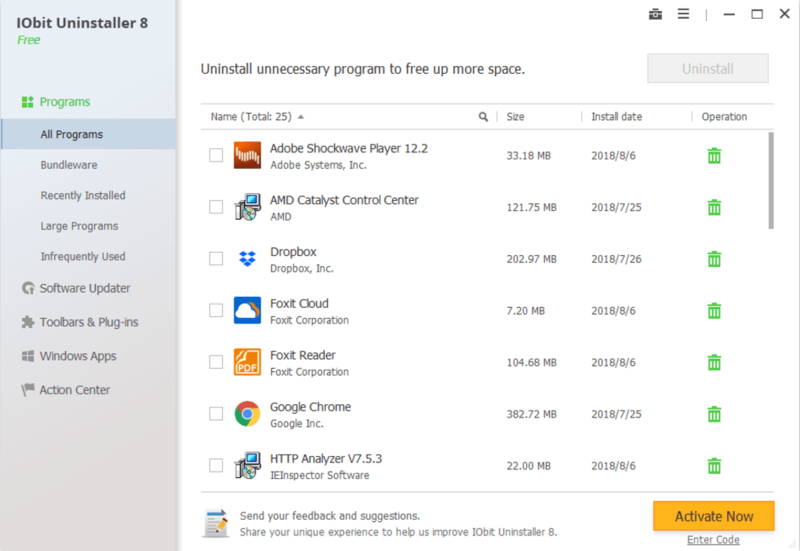 For Windows 8 and above, IObit Uninstaller helps you uninstall the Windows Apps to free up more system space. 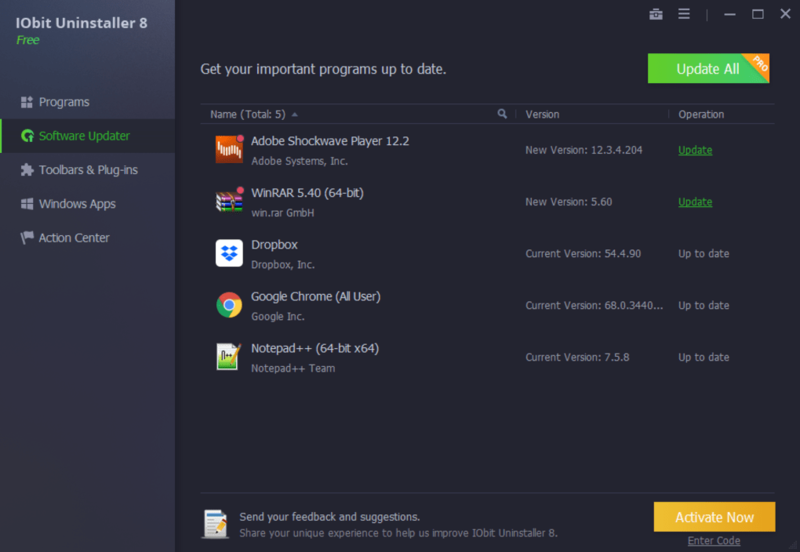 Improved program's recognition algorithm to launch IObit Uninstaller faster. Fixed the 'Open in Regedit' failure on the latest Windows 10. Great job and picks up the extras as well!. This is a great little app. that does a great job and picks up the extras as well! Easy to use and will also pick up other programs that the normal windows programs doesn't even consider! finds the additional files that usually get missed. 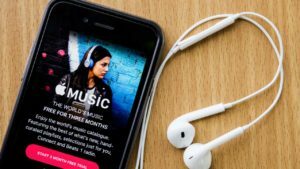 IOBit apps - best apps :). Really useful, better than normal uninstalling :) And - awesome interface! Best x64 Uninstaller. We all know about Revo Uninstaller and Revo Uninstaller Portable. But what you may or may not know is the free versions of Revo Uninstaller do not offer full x64 support. It will run on x64 systems but it will not show x64 apps. 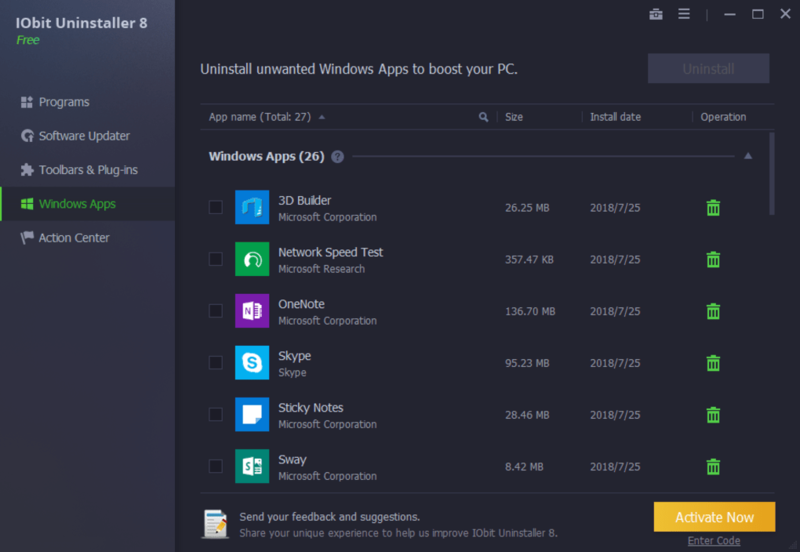 This is where IObit Uninstaller comes in. 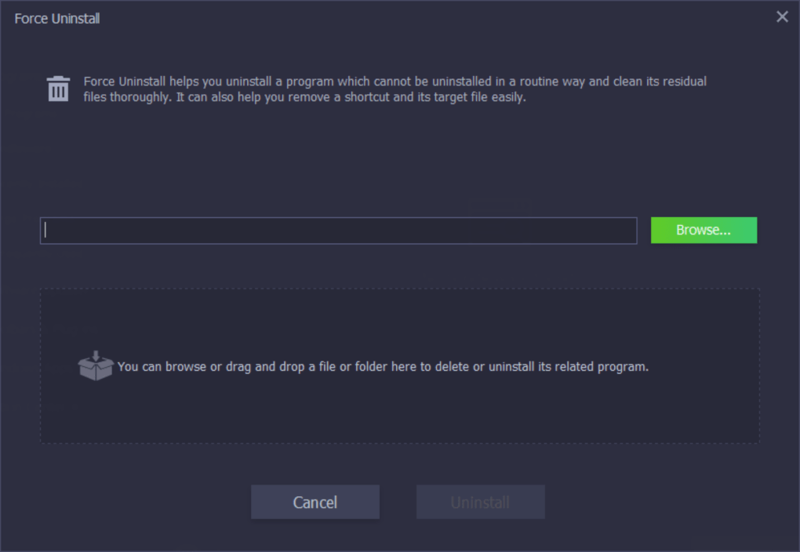 IObit Uninstaller offers full x64 support and is portable just like Revo Uninstaller Portable. It has a nice toolbar mode as well to remove toolbars like Avast's Web Rep which apparently installs even if you tell it not to. The only downside is it's full scanner isn't quite as good as Revo Uninstaller is. Overall for those who have x64 systems IObit Uninstaller is the only free uninstaller that scans for left over registry in x64 systems. So unless you wish to pay for Revo Uninstaller Pro, IObit Uninstaller is your only free choice for x64 systems. 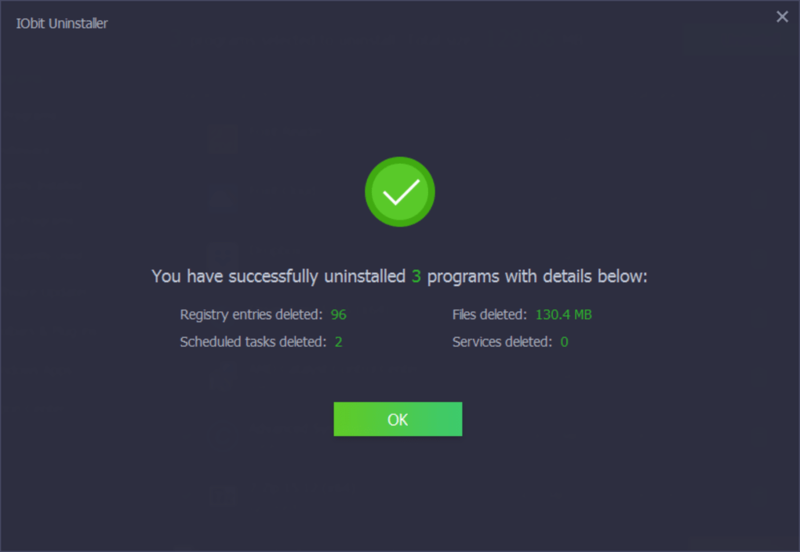 What do you think about IObit Uninstaller? Do you recommend it? Why?